THIS VEHICLE IS LOCATED AT OUR HOOVER LOCATION LOCATED AT 1850 SOUTH PARK DRIVE, HOOVER, AL 35244 ***NEW TIRES*** Fusing performance and comfort all in one package, our 2016 Acura ILX Sedan, with AcuraWatch plus, looks elegant in Graphite Luster Metallic! The aluminum block, direct-injected 2.4 Liter 4 Cylinder unleashes 201hp while paired with a lightning-fast 8 Speed dual-clutch Automatic transmission to reward you with incredible acceleration and brilliant handling. This refined Front Wheel Drive machine helps you gain nearly 35mpg on the highway! The road is yours to discover with this luxury sedan. This Acura ILX is enhanced with a distinct front grille, and Jewel Eye LED headlights. Open the door to our ILX find a well-designed cabin with a wealth of top-shelf amenities! Settle into supportive heated seats and take in the ambiance provided by the sunroof as you enjoy the convenience of Dual-zone automatic climate control and a rearview camera. Staying safely in touch is simple with a prominent touchscreen, Bluetooth phone, and audio connectivity, an impressive sound system with available satellite radio, smartphone integration, a CD player, and a USB/iPod audio interface. With the AcuraWatch plus already included for you, features such as adaptive cruise control, forward collision control and more will help keep you feeling safe while on the road. Come discover all our sedan has to offer you. You'll drive confidently knowing that Acura provides impeccable safety features such as anti-lock brakes, stability and traction control, front-seat side airbags, side curtain airbags and active front head restraints all to keep you out of harm's way. Designed to fit your needs and desires, this ILX sedan is the ultimate choice for you! Get behind the wheel to see for yourself. Print this page and call us Now... We Know You Will Enjoy Your Test Drive Towards Ownership! THIS VEHICLE IS LOCATED AT BIRMINGHAM LUXURY MOTORS *SOUTHSIDE* 3501 4TH AVENUE SOUTH BIRMINGHAM, AL 35222 Fusing performance and comfort all in one package, our 2016 Acura ILX sedan looks elegant in Bellanova White Pearl! The aluminum block, direct-injected 2.4 Liter 4 Cylinder generates 201hp and is paired with a lightning-fast 8 Speed dual-clutch Automatic transmission to reward you with incredible acceleration and brilliant handling. This refined Front Wheel Drive machine helps you gain nearly 35mpg on the highway! The road is yours to discover every time you get behind the wheel of our sedan. This Acura ILX is enhanced with a distinct front grille, and highly illuminating Jewel Eye LED headlights. Open the ILX door to find a well-designed cabin with a wealth of top-shelf amenities! Settle into supportive heated seats and take in the ambiance provided by the sunroof as you enjoy the convenience of Dual-zone automatic climate control and a rearview camera. Staying safely in touch is simple with a prominent touchscreen, Bluetooth phone, and audio connectivity, an impressive sound system with available satellite radio, smartphone integration, a CD player, and a USB/iPod audio interface. Come discover all our sedan has to offer you; and remember, when it comes to owning and Acura, style, and luxury comes hand in hand. You'll drive confidently knowing that Acura provides impeccable safety features such as anti-lock brakes, a backup camera, stability and traction control, front-seat side airbags, side curtain airbags and active front head restraints all on board to keep you out of harm's way. Meticulously designed to fit your needs and desires, this ILX sedan is the ultimate choice for you! Get behind the wheel to see for yourself. Print this page and call us Now... We Know You Will Enjoy Your Test Drive Towards Ownership! THIS VEHICLE IS LOCATED AT BIRMINGHAM LUXURY MOTORS *SOUTHSIDE* 3501 4TH AVENUE SOUTH BIRMINGHAM, AL 35222 ***NEW TIRES*** Fusing performance and comfort all in one package, our 2016 Acura ILX Sedan, with AcuraWatch plus, looks elegant in Graphite Luster Metallic! The aluminum block, direct-injected 2.4 Liter 4 Cylinder unleashes 201hp while paired with a lightning-fast 8 Speed dual-clutch Automatic transmission to reward you with incredible acceleration and brilliant handling. This refined Front Wheel Drive machine helps you gain nearly 35mpg on the highway! The road is yours to discover with this luxury sedan. This Acura ILX is enhanced with a distinct front grille, and Jewel Eye LED headlights. Open the door to our ILX find a well-designed cabin with a wealth of top-shelf amenities! Settle into supportive heated seats and take in the ambiance provided by the sunroof as you enjoy the convenience of Dual-zone automatic climate control and a rearview camera. Staying safely in touch is simple with a prominent touchscreen, Bluetooth phone, and audio connectivity, an impressive sound system with available satellite radio, smartphone integration, a CD player, and a USB/iPod audio interface. With the AcuraWatch plus already included for you, features such as adaptive cruise control, forward collision control and more will help keep you feeling safe while on the road. Come discover all our sedan has to offer you. You'll drive confidently knowing that Acura provides impeccable safety features such as anti-lock brakes, stability and traction control, front-seat side airbags, side curtain airbags and active front head restraints all to keep you out of harm's way. Designed to fit your needs and desires, this ILX sedan is the ultimate choice for you! Get behind the wheel to see for yourself. Print this page and call us Now... We Know You Will Enjoy Your Test Drive Towards Ownership! THIS VEHICLE IS LOCATED AT BIRMINGHAM LUXURY MOTORS *SOUTHSIDE* 3501 4TH AVENUE SOUTH BIRMINGHAM, AL 35222 Fusing performance and comfort all in one package, our 2016 Acura ILX sedan looks elegant in Slate Silver Metallic! The aluminum block, direct-injected 2.4 Liter 4 Cylinder generates 201hp and is paired with a lightning-fast 8 Speed dual-clutch Automatic transmission to reward you with incredible acceleration and brilliant handling. This refined Front Wheel Drive machine helps you gain nearly 35mpg on the highway! The road is yours to discover every time you get behind the wheel of our sedan. This Acura ILX is enhanced with a distinct front grille, and highly illuminating Jewel Eye LED headlights. Open the ILX door to find a well-designed cabin with a wealth of top-shelf amenities! Settle into supportive heated seats and take in the ambiance provided by the sunroof as you enjoy the convenience of Dual-zone automatic climate control and a rearview camera. Staying safely in touch is simple with a prominent touchscreen, Bluetooth phone, and audio connectivity, an impressive sound system with available satellite radio, smartphone integration, a CD player, and a USB/iPod audio interface. Come discover all our sedan has to offer you; and remember, when it comes to owning and Acura, style, and luxury comes hand in hand. You'll drive confidently knowing that Acura provides impeccable safety features such as anti-lock brakes, a backup camera, stability and traction control, front-seat side airbags, side curtain airbags and active front head restraints all on board to keep you out of harm's way. Meticulously designed to fit your needs and desires, this ILX sedan is the ultimate choice for you! Get behind the wheel to see for yourself. Print this page and call us Now... We Know You Will Enjoy Your Test Drive Towards Ownership! THIS VEHICLE IS LOCATED AT OUR HOOVER LOCATION LOCATED AT 1850 SOUTH PARK DRIVE, HOOVER, AL 35244 Fusing performance and comfort all in one package, our 2016 Acura ILX Sedan, with the Premium and A-SPEC package, looks elegant in Graphite Luster Metallic! Powered by a Direct-Injected 2.4 Liter 4 Cylinder that offers 201hp while paired with a lightning-fast 8 Speed dual-clutch Automatic transmission to reward you with incredible acceleration and brilliant handling. This refined Front Wheel Drive machine helps you gain nearly 35mpg on the highway making the road is yours to discover every time you get behind the wheel of our sedan. This Acura ILX is enhanced with a distinct front grille and Jewel Eye LED headlights. Open the door to find a well-designed cabin with a wealth of top-shelf amenities! Settle into supportive ILX heated seats and take in the ambiance provided by the sunroof as you enjoy the convenience of Dual-zone automatic climate control and a rearview camera. Staying safely in touch is simple with a prominent touchscreen, Bluetooth phone, and audio connectivity, an impressive sound system with available satellite radio, smartphone integration, a CD player, and a USB/iPod audio interface. With the already added Premium with A-SPEC package, features like side sills, trunk spoiler, perforated leather seating, and AcuraLink will have you singing its praises. Acura provides impeccable safety features such as anti-lock brakes, stability and traction control, front-seat side airbags, side curtain airbags and active front head restraints all on board to keep you out of harm's way. Meticulously designed to fit your needs and desires, this ILX sedan is the ultimate choice for you! Get behind the wheel to see for yourself. Print this page and call us Now... We Know You Will Enjoy Your Test Drive Towards Ownership! THIS VEHICLE IS LOCATED AT OUR HOOVER LOCATION LOCATED AT 1850 SOUTH PARK DRIVE, HOOVER, AL 35244 Fusing performance and comfort all in one package, our 2016 Acura ILX sedan looks elegant in Crystal Black Pearl! The aluminum block, direct-injected 2.4 Liter 4 Cylinder generates 201hp and is paired with a lightning-fast 8 Speed dual-clutch Automatic transmission to reward you with incredible acceleration and brilliant handling. This refined Front Wheel Drive machine helps you gain nearly 35mpg on the highway! The road is yours to discover every time you get behind the wheel of our sedan. This Acura ILX is enhanced with a distinct front grille, and highly illuminating Jewel Eye LED headlights. Open the ILX door to find a well-designed cabin with a wealth of top-shelf amenities! Settle into supportive heated seats and take in the ambiance provided by the sunroof as you enjoy the convenience of Dual-zone automatic climate control and a rearview camera. Staying safely in touch is simple with a prominent touchscreen, Bluetooth phone, and audio connectivity, an impressive sound system with available satellite radio, smartphone integration, a CD player, and a USB/iPod audio interface. Come discover all our sedan has to offer you; and remember, when it comes to owning and Acura, style, and luxury comes hand in hand. You'll drive confidently knowing that Acura provides impeccable safety features such as anti-lock brakes, a backup camera, stability and traction control, front-seat side airbags, side curtain airbags and active front head restraints all on board to keep you out of harm's way. Meticulously designed to fit your needs and desires, this ILX sedan is the ultimate choice for you! Get behind the wheel to see for yourself. Print this page and call us Now... We Know You Will Enjoy Your Test Drive Towards Ownership! 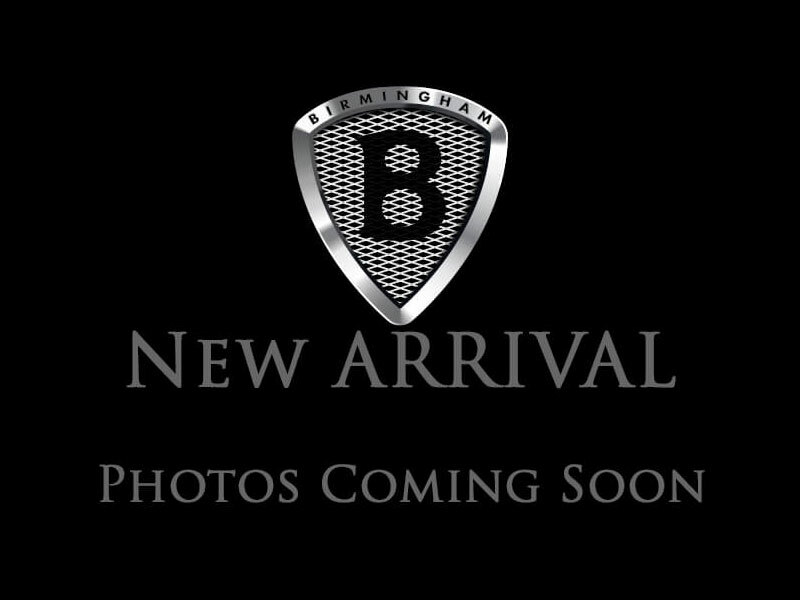 THIS VEHICLE IS LOCATED AT BIRMINGHAM LUXURY MOTORS *SOUTHSIDE* 3501 4TH AVENUE SOUTH BIRMINGHAM, AL 35222 Our 2016 Acura MDX SH-AWD is great looking in Crystal Black Pearl and offers a level of comfort that will amaze you! Powered by a 3.5 Liter V6 generates 290hp while perfectly paired with a 9 Speed Automatic transmission with Sequential Sportshift paddle shifters. With this Super Handling All Wheel Drive SUV, find yourself rewarded with impressive acceleration, nimble handling, and near 27mpg on the open road. Enjoy the sculpted silhouette of our Acura MDX which is enhanced by attractive Jewel Eye LED headlights plus the convenience of a power liftgate. Inside our MDX, you find a haven of comfort and refinement. The spacious cabin greets you with leather heated front seats and a prominent sunroof, keyless entry/ignition, tri-zone automatic climate control and an auto-dimming rearview mirror. You'll stay safely connected thanks to an intuitive touchscreen known as the On-Demand Multi-Use Display, Bluetooth, premium audio, and Siris Eyes Free! With all these amenities, plus more to discover, you will be the envy of the town every time you get behind the wheel of this appealing SUV. Our Acura has earned superb safety rating thanks in part to advanced safety features such as a unique body structure design and vehicle stability assist. Go ahead, step up to luxury and elevate your style while giving your family the safety and security that can only come from our magnificent MDX! Print this page and call us Now... We Know You Will Enjoy Your Test Drive Towards Ownership! THIS VEHICLE IS LOCATED AT BIRMINGHAM LUXURY MOTORS *SOUTHSIDE* 3501 4TH AVENUE SOUTH BIRMINGHAM, AL 35222 ***NEW TIRES*** Our 2016 Acura MDX SH-AWD is great looking in Dark Cherry Pearl and offers a level of comfort that will amaze you! Powered by a 3.5 Liter V6 generates 290hp while perfectly paired with a 9 Speed Automatic transmission with Sequential Sportshift paddle shifters. With this Super Handling All Wheel Drive SUV, find yourself rewarded with impressive acceleration, nimble handling, and near 27mpg on the open road. Enjoy the sculpted silhouette of our Acura MDX which is enhanced by attractive Jewel Eye LED headlights plus the convenience of a power liftgate. Inside our MDX, you find a haven of comfort and refinement. The spacious cabin greets you with leather heated front seats and a prominent sunroof, keyless entry/ignition, tri-zone automatic climate control and an auto-dimming rearview mirror. You'll stay safely connected thanks to an intuitive touchscreen known as the On-Demand Multi-Use Display, Bluetooth, premium audio, and Siris Eyes Free! With all these amenities, plus more to discover, you will be the envy of the town every time you get behind the wheel of this appealing SUV. Our Acura has earned superb safety rating thanks in part to advanced safety features such as a unique body structure design and vehicle stability assist. Go ahead, step up to luxury and elevate your style while giving your family the safety and security that can only come from our magnificent MDX! Print this page and call us Now... We Know You Will Enjoy Your Test Drive Towards Ownership! THIS VEHICLE IS LOCATED AT BIRMINGHAM LUXURY MOTORS *SOUTHSIDE* 3501 4TH AVENUE SOUTH BIRMINGHAM, AL 35222 With a stunning, sleek design and crisp performance, our 2016 Acura MDX Crossover with Technology package, in White Diamond Pearl, offers a level of comfort that will amaze you! Powering this machine is a 3.5 Liter V6 that generates 290hp on demand, while perfectly paired with a 9 Speed Automatic transmission with Sequential Sportshift paddle shifters. With this Front Wheel Drive SUV, you are thus rewarded with impressive acceleration, nimble handling, and near 27mpg on the open road. Load the family up and hit the highway in style with this luxury vehicle. Enjoy the sculpted silhouette of our Acura MDX which is enhanced by attractive and elegant Jewel Eye LED headlights. A haven of comfort and refinement, the spacious MDX cabin greets you with leather heated front seats and a prominent sunroof. Enjoy the convenience of a power liftgate, keyless entry/ignition, tri-zone automatic climate control and an auto-dimming rearview mirror. You'll stay safely connected thanks to an intuitive touchscreen known as the On-Demand Multi-Use Display, Bluetooth, premium audio, and Siris Eyes Free! With the Technology package already included, you will experience added features like 3D view navigation, AcuraLink and a multitude of other amenities sure to win you over and make you the envy of the road every time you get behind the wheel of this appealing Acura SUV. Our Acura MDX has earned superb safety ratings thanks in part to advanced safety features such as a unique body structure design and vehicle stability assist. Go ahead, step up to luxury and elevate your style while giving your family the safety and security that can only come from our magnificent Acura MDX! Print this page and call us Now... We Know You Will Enjoy Your Test Drive Towards Ownership! I would like test drive the 2016 Acura ILX, stock# 023576-H. I would like test drive the 2016 Acura ILX, stock# 023130. I would like test drive the 2016 Acura ILX, stock# 001318. I would like test drive the 2016 ACURA ILX, stock# 022280. I would like test drive the 2016 Acura ILX, stock# 008182-H. I would like test drive the 2016 Acura ILX, stock# 021955-H. I would like test drive the 2016 Acura MDX, stock# 048979. I would like test drive the 2016 Acura MDX, stock# 042825. 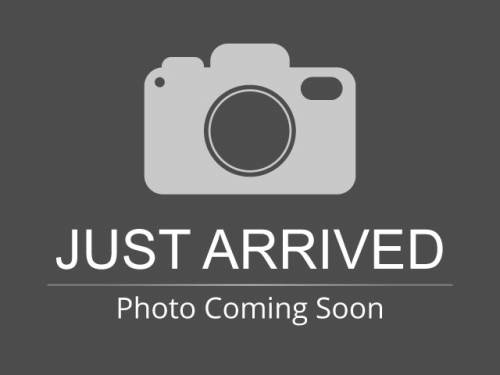 I would like test drive the 2016 Acura MDX, stock# 052211. I would like test drive the 2016 Acura MDX, stock# 017230.